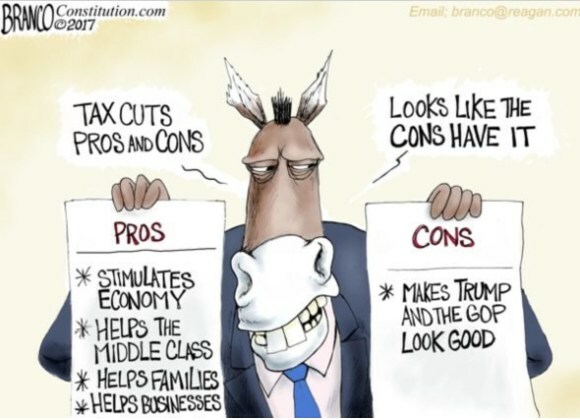 BLACK REPUBLICAN BLOG: Are Democrats destroying their own credibility? You can’t expect a political party to be rigorously intellectually honest on any consistent basis. They’re trying to win elections—and to achieve policy results they genuinely believe to be desirable, and rigorous honesty sometimes has to take the back seat. And anyway, their embarrassed members will argue, the other side does it, and you can’t unilaterally disarm. That said, it strikes me that the Democratic Party has been taken this to a self-harming extreme. For if the voters catch you stretching the truth and exaggerating the other side’s misdeeds, your credibility will suffer. Even when you state plain truths or make reasonable arguments, many people won’t, or will be reluctant to, believe you. On what issues are Democrats taking such risks? (1) Their undisguised faith that Donald Trump and his campaign colluded with Vladimir Putin’s Russia to steal the 2016 election. Maybe I’m wrong, but I don’t think this happened or that it has or will come anywhere close to being proven. (2) The Republican tax bill was a “scam” that was going to take money away from those with modest incomes. A look at the tax rate schedules in the Republicans’ bill should have told Democrats that this argument wasn’t sustainable, and perhaps they made it in the hope—which didn’t seem too far-fetched at the time—that enough Republicans would waver, the bill would never pass and their characterization, with predictable help from the mainstream media, would stick. But the bill passed, modest and low-income people are getting raises and bonuses, and just about everyone will get a bigger paycheck later this month. (3) Their claims that the Republicans were responsible for shutting the government down last month over DACA. Democrats knew that DACA was widely popular, but overestimated its importance to voters. It turns out they didn’t want the government shut down to help even deserving illegal immigrants. It’s hard for the party of more government to lose an argument over who caused a government shutdown, but they managed to do it. (4) Their arguments that release of the Nunes memo would endanger national security, when it was obvious to anyone who read the memo that it wouldn’t. And then there's their ludicrous supporting argument that you should never harm the image of the FBI. Democrats have long been willing to criticize the FBI and other law enforcement agencies when they think it will help them politically, or when they think there has genuine abuse; the first is understandable and the second often commendable. How is this different? This looks very much like those who live in an anti-Trump cocoon have such utter contempt for their fellow citizens outside that cocoon that they expect them to fall for unsustainable arguments. They have the excuse of knowing that most of the mainstream media will do so, but they seem not to have learned that a very large part of the American electorate no longer has respect for or pays heed to the mainstream media. Political debate requires understanding how persuasive—or unpersuasive—arguments are and will prove over time. I’m surprised that Democrats aren’t doing a better job at this, and I suspect they’re reducing their credibility with many voters they have been taking for granted.